Lapinette made herself comfortable and threw her tunic on the seat. Rabbit Jenny, the Pirate Chief, enquired what manner of grog they preferred. Not getting a lightning answer, she called over her shoulder. "A bottle of Seven Fathoms Rum and five glasses. Chop chop!" Jenny turned to Skratch the Cat, who wouldn't take off his cap. "Lighten up, feline, I believe you usually ask some question at this juncture." "Were not exactly finished our adventure, Captain," said Skratch. "But I think we're in the Pirate Genre." "Certainly not," said the Wabbit, "we're more correctly negotiating the Naval and War genre, about which there is a very enormous book indeed." "One book does not a genre make," observed Wabsworth, who had been compiling a list of popular quotations. "Belay all that persiflage," said Jenny. "What does the Marchesa make of it so far." "This," said Lapinette carefully, "is different. Neither pastiche nor satire, the adventure is a sardonic comment concerning alliances and coalitions." "I like you, Lapinette," laughed Jenny. "You have it in a nutshell. These blowhards are bilged on their own anchors." "What about your story?" asked Lapinette. "I need to be plied with rum," replied Jenny. 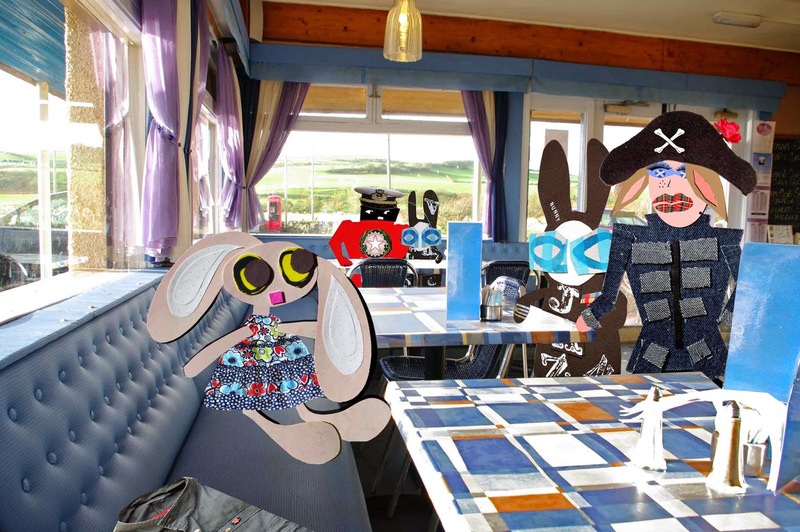 The Wabbit grinned. "Skratch," he called. "You're in charge of plying." Skratch flicked an imaginary piece of lint from his coat. "Plying," he purred, "is my middle name." The Wabbit and an Exchange of Fire.